With 7½ miles of unspoiled beaches and some of the best vacation rentals Oregon has to offer, Lincoln City is a holiday dream. There are endless activities for visitors to enjoy throughout the year, from crabbing and clamming to swimming and whale-watching to hiking and searching for glass art on the beach. If you’ve visited or even heard about Lincoln City, you probably know it as a quaint seaside town with world-class charm, great seafood, and a delightful community of local artists. There are probably a few things you don’t know about Lincoln City, though, such as the following eight fascinating facts. Call 503-232-5984 to reserve your beach home, or condo today! Whether you live here or plan on staying in a condo rental Lincoln City has something for you to enjoy, partly because it’s sandwiched between the Pacific Ocean to the west and the Coast Range and Devils Lake to the east. These majestic wonders are ideal for nature-lovers, and for city slickers it’s only 88 miles from Portland, 74 miles from Corvallis, and 58 miles from Salem. You may also not know that this scenic seaside town is located at the 45th parallel north, which is a circle of latitude 45 degrees north of the equatorial plane of the Earth crossing Asia, Europe, the Atlantic Ocean, North America, and the Pacific Ocean. Lincoln City is also smack-dab in the middle of the Central Oregon Coast, below the Salmon River and Cascade Head and above the Siletz Bay and Siletz Bay National Wildlife Refuge. A quick drive up or down the coast will leave you breathless with diverse wildlife and geography! Sometimes Oregon gets a bad rap for disagreeable weather, but Lincoln City has a very mild maritime climate that makes it one of the state’s most desirable tourist destinations. Even the winter weather doesn’t get too cold, with highs around 50 degrees Fahrenheit in the daytime, but summertime is really where it’s at. This coastal area enjoys mellow highs of about 60-70 degrees in summer, but drive inland just a few miles and you can easily find temperatures of 80-90 degrees! Many nearby residents find Lincoln City’s cool breeze to be the perfect coolant when things get too hot in the valleys. With winds coming from the southwest in the winter and the northwest in the summer, that cool breeze also makes Lincoln City the perfect place to fly a kite or catch a wave on your surfboard. Or, why not combine the two and try out kite-boarding! While the permanent population of Lincoln City is fewer than 9,000 people as of the recent census in March of 2014, the population can swell to more than 30,000 during the summer months when visitors come from near and far. And summer tourists don’t just come from neighbouring towns; you might meet folks from across the country and around the world! With the right beach home rental Lincoln Citywill feel like home to just about anyone, which is why so many visitors keep coming back. Why not see for yourself why this town is such a point of interest? 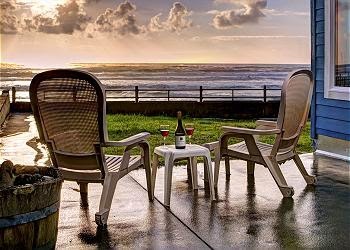 When it comes to beach vacation rentals Oregon is never spoiled for choice, but you’d be hard pressed to find a better deal on a more charming pair of condos than in Lincoln City this Spring Break. As this charming seaside town gears up for its Spring Break glass art drop, where 300 hand-made glass floats will be ‘dropped’ by affectionate volunteers, A-1 Beach Rentals is gearing up for a swell of visitors throughout the end of March. To highlight the best that Lincoln City has to offer, we’re offering a 4thNight Free on two of Lincoln City’s most popular condo rentals from March 20–April 4. With such a special deal on stays at the Prince of Whales and RSS Royal Pacific, why not get to know these properties a bit better? Just make sure to book fast if you feel inspired, because these deals won’t last all spring. Stay 3 nights get 4th night free! March 20 – April 2 at RSS Royal Pacific or Prince Of Whales. If you’re looking for condo rentals Lincoln Cityis the place. The Prince of Whales is a fine example of Lincoln City’s best, offering a charming living space with gas fireplace and ocean views stretching around the main room. In addition to a master bedroom featuring a king sized bed and jetted tub in its own private bath, you will find a queen-sized bedroom, additional bathroom, washer/dryer, ironing board, fresh linens, and fully equipped kitchen. 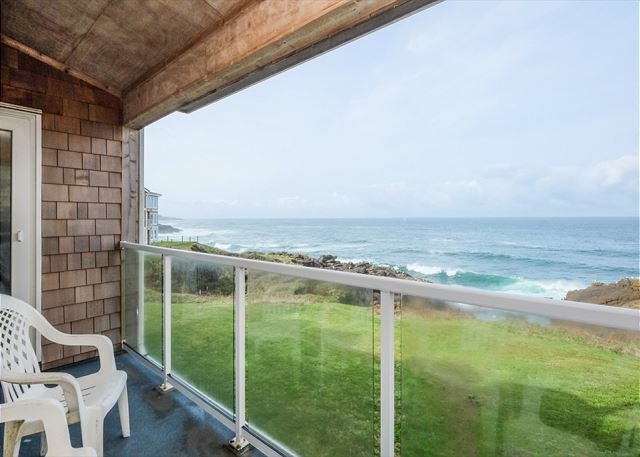 This condo rental is unique for its location on Depoe Bay that puts guests in perfect position for its exceptional views, awesome sunsets, and an easy walk to the beach or hiking trails. When you’re all beached out, the condo offers flat screen TVs with cable, DVD/CD player, free Wi-Fi, a patio to lounge on, and access to a club house with swimming pool and spa. This one-story condominium with two bedrooms and two bathrooms features king and queen sized beds, full surf view, dining space for four, a gas fireplace, a jetted tub, and extra touches such as games. The kitchen comes with all the appliances you need to cook and store food and is stocked with cookware and a coffee maker, plus you’ll find all the other amenities you need such as a washer & dryer, iron & ironing board, hair dryer, and fresh linens. You’ll also find a balcony, shared swimming pool, hot tub, and amazing access to everything from sight-seeing and whale-watching to swimming and fishing. If you choose to stay at either of these beach home rentals Lincoln City will be at your fingertips. This means seven miles of pristine beach, great restaurants and bars featuring local seafood and produce, charming art galleries and museums, theatres, shops, and a nearby casino. Now it’s just a matter of choosing which beach vacation rental and booking the days! If you’re looking for spring break beach vacation rentals Oregon is full of appealing possibilities across the state. If you’re looking for the most pristine shores and unique art pieces, though, you won’t need to look further than Lincoln City. Tourists flock to this seaside town that sits along a seven-mile stretch of crisp, clean coastline all year long. Not only is this view of the Pacific Ocean beautiful, but if you’re lucky you’ll find one of more than 2,000 glass floats that are “dropped” on the beach periodically between mid-October and Memorial Day. Spring break is a particularly good time to visit, as a special “drop” of 300 handmade pieces of glass art will be made between the 19thand 27th of March. And that’s not the end of the artsy, beachy fun! Keep reading to learn more about how you can participate in this distinctive local ritual. You’ll probably want to search for your very own glass float as soon as you’ve checked into your rented house, cottage, or condo. 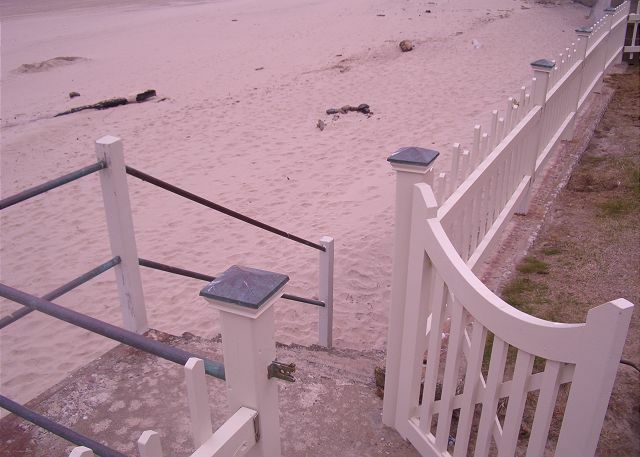 Fortunately, when it comes to beach home rentals Lincoln City offers no shortage of opulent options. Whether you’re staying right along the sand, or at one of the charming rentals within walking distance, you’ll find it easy to reach the area of the beach below the embankment but above the tide line where glass floats are “dropped.” (In actuality these unique pieces of glass art are carefully placed on the beach, but the locals playfully refer to these placements as “glass drops.”) Whatever you do, though, do not search for glass floats on cliffs or during a storm. Drops never take place in dangerous places or under dangerous weather conditions. If you are lucky enough to find a glass float, remember one simple step to take once you’ve returned to your beach rental and cleaned your treasure to remove any sand or debris. Make sure to register your float by calling the Lincoln City Visitor and Convention Bureau at (800) 452-2151. This way you will learn the name of the artist who created the float by hand, and when you return home your Certificate of Authenticity should soon be waiting in the mailbox. Numerous local artists participate in the “Glass Floats on the Beach” in Lincoln City each year, and 2016 is no different. This year you may find handcrafted floats on the beach created by artists from Alderhouse Glassblowing, Fernhill Glass, Flanigan’s Glass Gallery, Gathering Glass Studio, Glass Oasis, Glass Quest Studio, Lincoln City Glass Center, and Ocean Beaches Glassblowing and Gallery. You’ll also find additional glass art available for sale from Alderhouse Glassblowing, Flanigan’s Glass Gallery, Lincoln City Glass Center, and Mor Art as you peruse the local shops and galleries. Once you have booked your beach homes or condo rentals Lincoln City will be your spring break destination for the most pristine seven miles of coastline and the most unique of local rituals concerning handcrafted blown glass. See you there – and finders keepers!